Fairytales and Fitness: Do You Collect These Things From Every Race? What all is necessary to keep to commemorate your race? 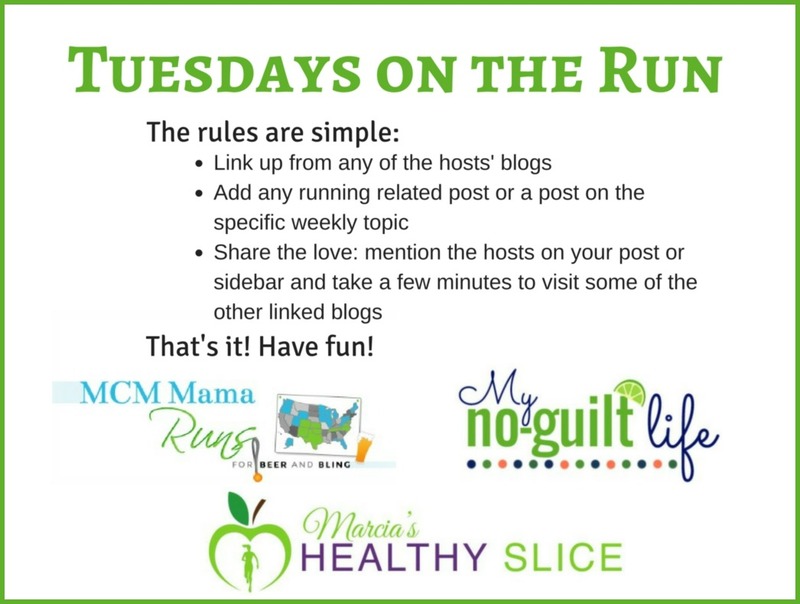 Well, I suppose that is different for each runner. I started to collect the race programs but now I'm not so sure why. Perhaps it was to use the images in a scrapbook that I never made nor will ever make, or perhaps it was to have a map of the course. Who knows. I don't know if I kept the race program from my last marathon or not. I'll have to go check. I always keep my race bibs as this is very important to me. Again, I don't know why. Maybe I have some great project I think I might do with them. I usually write my time on the back and then the date (if its not already on the front). I keep mine pressed flat in a scrapbook. They are not displayed, just pressed in the book for safe keeping. 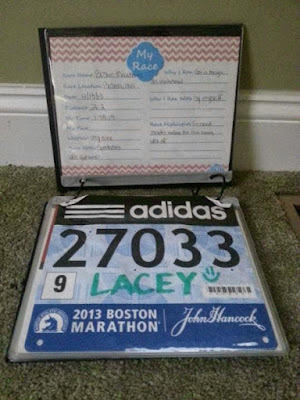 Lacey keeps some of hers in her Bib Folio from Gone For A Run. Somebody should ask her if she knows where the rest of her bibs are. I dare you! * Also, I keep all the safety pins that come with the bibs. They come in handy when I display my medals. I have a lot of drawstring bags from races. I usually stuff Baylee's things in them when we go out. Its always nice to have an extra little tote bag around (especially something that you don't care if it gets dirty or not). I've actually gotten very few water bottles at races I've attended. Lacey's has ran more races where those were given out. Water bottles are not a big deal for me and honestly I couldn't even tell you where the two or three race bottles I have even are. I'm more of a fan of my Blender Bottle. I love getting a new race shirt but lately I've been wearing them less and less. Perhaps because it's so stinking hot that the only thing you can go out in lately is a tank top. I haven't ran in any of my race shirts in a very long time but I do enjoy having them and I would have a hard time parting with any one of them. Perhaps one day I will do a quilt. If you get massages or visit the medical tent after the race, then chances are you will walk away with a mylar blanket. Some races will automatically hand them out at the end if it is cold, like they did at RnR Vegas. We never kept these as we didn't see the point. However, after it being so darn cold during last years Goofy Challenge we decided to hang on to our blankets and carry them to the start of the next race with us. We brought home our extra ones for safe keeping and they will travel with us to our next cool weather race just in case. And of course, the medals. You all know that I enjoy displaying mine. Oh, and one other thing that I enjoy displaying from my races are the race certificates. So far I've only seen them become available for Disney and Rock n Roll races. My sister has one from Boston and when I ran Wicked a few years ago there was a spot on their website to print one off but I could never get it to come up. I agree with you there's lots of "stuff". I used to drag home programs now they go in the hotel trash. I didn't start saving bibs but now I do for larger races. When they used to mail me a finisher cert., I'd save it but I never bother to download one. As for race posters, Boston's was a must and I think I have Chicago and NYCM and Flying Pig, but no others. None are displayed. My bad. Race posters take up a lot of space. I don't collect those either. My sister has her Boston one up but that's it. I love race t-shirts, as I then wear them to the gym for motivation when I am feeling a bit lazy. That's a good way to motivate yourself! I only keep race shirts from "big" races now and only if they are nice shirts, not icky cotton ones. 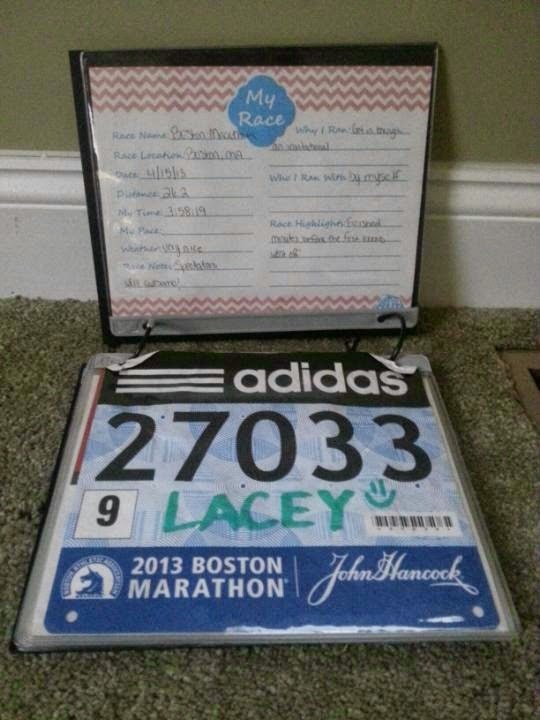 I save my bibs with the time, date and how I placed on the back, its fun to go back through them and look at that. Medals... I only want medals from halfs or bigger, or relays, they seem silly for shorter races. The swag bags go to my kids, but sometimes they just all get swooped up and tossed too, so much stuff! I have a few cotton shirts from smaller races that go into my craft/sewing pile. They are essentially my "practice shirts" when I want to sew something! I keep *everything* from Boston. I even have my heat blankets. LOL. I know that is ridiculous. Boston is a big event. Of course you'd want to keep everything! I thought my sister would keep the shoes she ran Boston in, but nope! I have all my bibs, and most of the programs from Disney races. I don't really collect anything else, except from every rD race I do, I get the "i did it" shirt. Tradition for me! 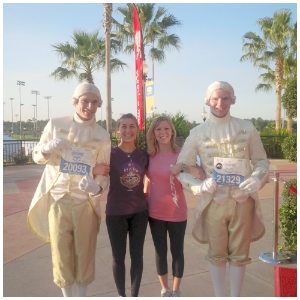 I thought I had the programs from all the Disney races but I noticed I don't have one from marathon this year...oh no! I bring home the shirts, bibs, and medals. I have a collage of my bibs at work, and put the shirts away. Eventually I'll most likely send them in for a shirt quilt, but I don't have enough right now. I love to wear certain ones, and only store the ones I don't like. I've actually used two long-sleeve race shirts as throwaways at other races. I often wonder what I will do with all my shirts when I stop wearing them or they no longer fit. There is definitely a lot of stuff! I keep the shirts, medals, water bottles, and bags. I can always find use for those things and the medal gets put on the medal hanger. I don't keep bibs on purpose but I just realized the other day that I still have the bibs from both RnR DC races I've done. Not on purpose but I guess I just never threw them away! 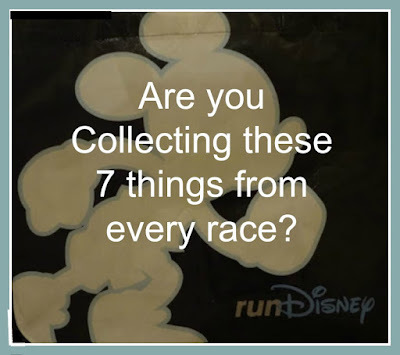 When I was at wdw marathon one year I saw a runner throw his bib in the trash right after crossing the finish line. It never occurred to me that some people don't keep their bibs. No looking back I wonder why I DO keep them..haha. When I started running, I was all about the race shirts. Now, my pile is getting so high, I need to do something with them. I gotta find someone to make a blanket out of them. I dont want to give them away but I need the room. I keep all my bibs in a scrapbook & I write down things about the race - the temp, the things that happened & then I print out my pics I take from my phone and/or race pics I buy & tape them in there on the page with it. I love my scrapbook. I'd love to see your scrapbook! I used to keep all my tshirts, bibs (same as you I'd write my time on the back) and medals but gradually over time have gotten rid of and keep less and less. Now I only have 3-4 tshirts from recent races that I actually wear for running, and 2 medals from PR races. Your medal display is really nice though! Disney medals are so blingy and fun. I often wonder what will do with those medals some day or if I will always keep them up. I always plan to scrapbook, but never find the time. I have 95% of my bibs, and all my pins !! I don't know why I keep the pins, but soon I'll have Enough to organize my own race! Haha, I keep the pins because I use them to pin up the ribbons on my medals so they don't hang down as far! I tend to save only my race bibs (I am quite proud to say that I have every single one of them saved) and medals. Some race shirts get worn once, right after the race, and then directly into the Goodwill bag (well, after washing, of course) - I've gotten more discerning about what to keep, because I know what I'll actually wear. Of course, there are some things I don't wear (my first half marathon shirt is really heavy) but I can't let go of...and that's OK. I have a race quilt from my first few years of running that my mom made for me, which I love. I've thought about making a quilt but as of now I still wear all my shirts. I don't know how long that will last though! I keep my bibs too. I also plan to eventually do something with them. I keep the pins too, never can have enough pins you never know when one will come in handy. Its rare but every once in a while races give out something fun and unique in the race bag that I've kept. I love cold packs they come in handy. I've kept many of those through the years especially when they give out the nice ones that last. Let me know if you ever do something with your bibs! I never kept any of my race bibs, but now in retrospect I wish I had kept them all from the start. It would be fun to be able to flip back through them all and reminisce! I have a mountain of safety pins, LOL. Now when I go to races, I try not to get any more safety pins unless they come prestuffed in my goody bag. Really the only thing I keep are my race medals. A lot of the race shirts get donated after a year or so! The race medals are the best thing to keep, no? I'm always tempted to keep everything from my races too, but most of it just gathers dust in the closet. 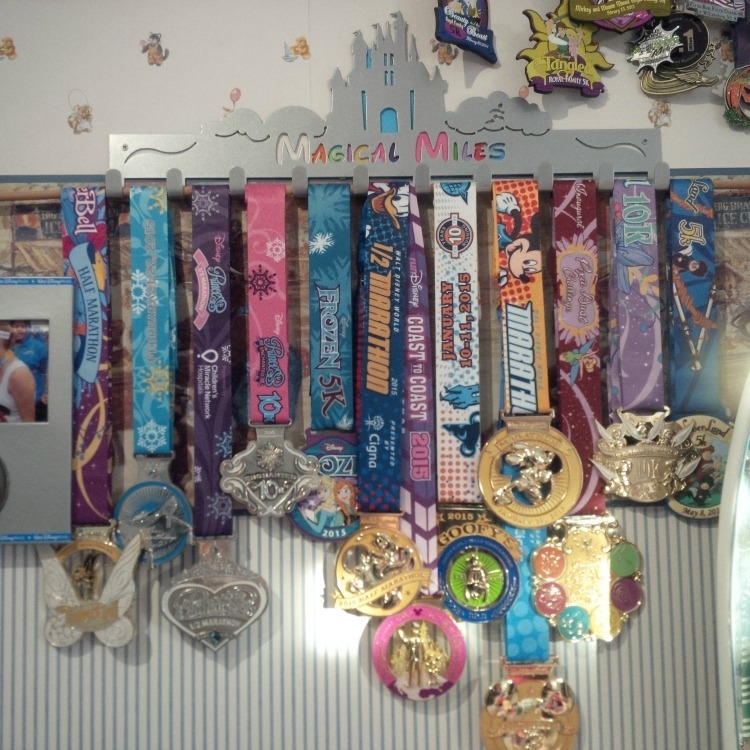 I really need to find a way to display my medals! I used to keep all my bibs, but the truth is I never look at them so now I'm throwing them away. Maybe I'll keep the ones from my halfs. I do try to buy a mug in each state (although it doesn't always happen). I definitely don't keep pins and the one mylar blanket I got I didn't keep either (and I've never gotten one for a massage -- or seen one given for a massage, either?). A t-shirt quilt is a good idea, but I like to wear my race shirts. I don't save many other race items any more. I ran a race where they collected race medals to give to children. That made it easy to donate them. I'll keep the shirt if it fits well. Sometimes I get lucky, other times they are too big or too small. I also have my medals that i will eventually display. I have SO many drawstring bags, and they're awful. They cut into your shoulders and barely hold anything. I hate them, but I don't want to throw them out! I keep all my safety pins too, but I never reuse them! I find them all over my car and house, even though I try to keep them organized and easy to grab in a little box. It's funny because I always take new ones on race day, but I only save them because I plan to reuse them...and I never do! You know what is interesting? I always feel like FL bloggers talk about the medals for the races....and I drool over how pretty there are. Here in NY - there are like NO medals at the end of races. 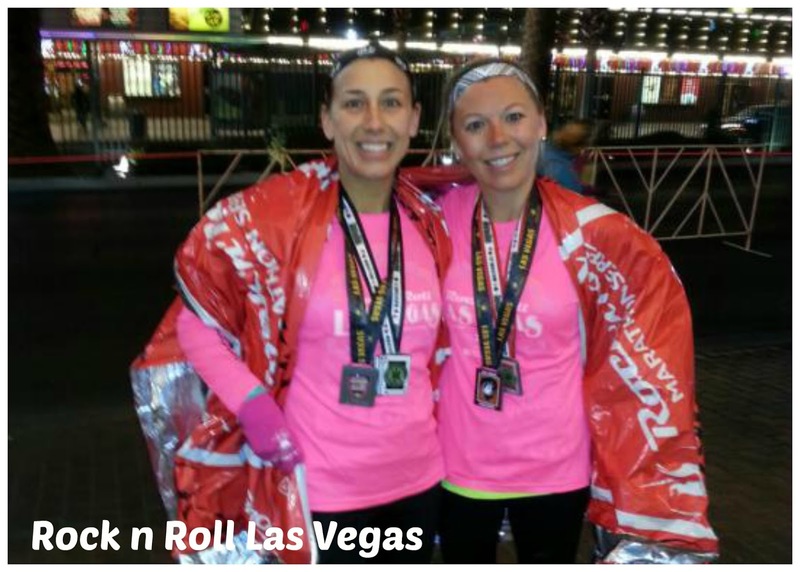 The first half I ever ran gave a medal (thank goodness, because it was my first!) My second half gave you a sticker for your car! 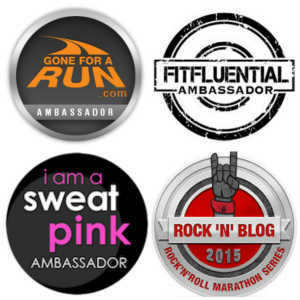 And none of the 5Ks or 10Ks that I have ran gave out medals! Maybe it is geography thing? I love getting the shirts of each race and I LOVE saving my bibs! I have one from every race I have done, even the Color Rad 5Ks! They are my favorite memento! I think I would prefer a bib over a medal! I keep it all- but I have no idea why. LOL It's just in a box, except for the medals. I keep the shirts, medals, and bibs... the other stuff, it just depends on if I can find a use for it, if not it gets donated or given away. 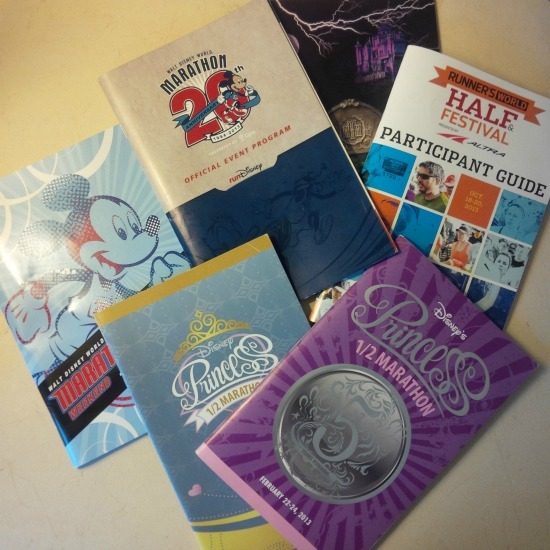 I did scrapbook my 1st and 2nd half marathons... so I kept the booklets for those races. 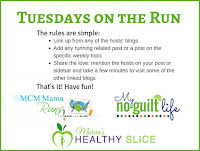 Guilty as charged - I keep all of these things and more! I have random sunglasses, cowbells, marathon results newspapers ... does this make me a running hoarder? :) The one exception is if the race shirt is bad or doesn't fit. Then I'll donate it, but if it's a marathon or runDisney, I can't seem to get enough!